Can a Package Leverage Promotional Excitement? I don’t drink Coors Light, but I’ve seen the commercials on TV. The coaching press conference spots are memorable, the silver train is ownable. The other day I was drawn to a new Silver Bullet promotional package. 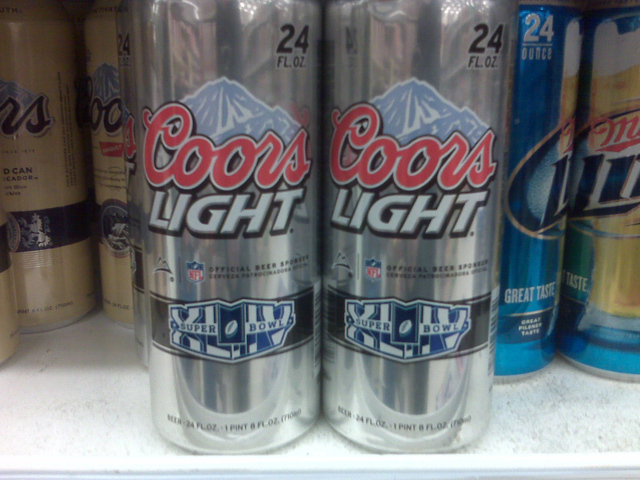 Like many other consumer goods, Coors is capitalizing on a certain given Sunday fast approaching in February. The NFL’s Super Bowl is the granddaddy of commercial event opportunities in the US. With airtime at a premium during the big game, many marketers support their promotional messages at shelf, as well as on air. You’re sure to stumble over some point-of-purchase displays throughout the aisles during the coming weeks. Official sponsor or not, the Coors packages at my local market seem to do an adequate job of endorsing the big event—perhaps even gaining attention at shelf. But is there anything else these packages could be leveraging? Could Coors help you experience some of the excitement and passion of America’s biggest game? Maybe not, but the package could carry the message further yards toward the endzone. Within the fast moving world of consumers goods, promotions come and go. So why not make a bigger impression if you’re going to the trouble of changing the package? 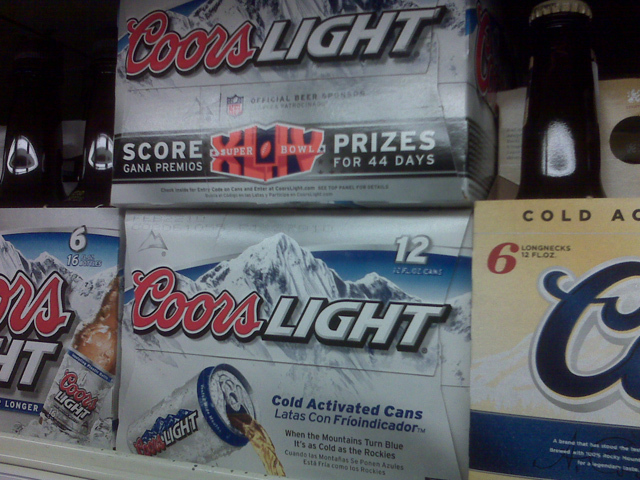 The thrill of the Dale Earnhardt Jr. Amp packaging comes to mind, this Coors Light package does not. Why not embrace the spirit and fervor of the big game with an exciting promotion, rather than just slug some roman numerals on the can and be done? At least portray some of the attitude and humor used on television. Who’s Buying What in the Super Bowl 2010 – Advertising Age – Special Report: Super Bowl 2010.